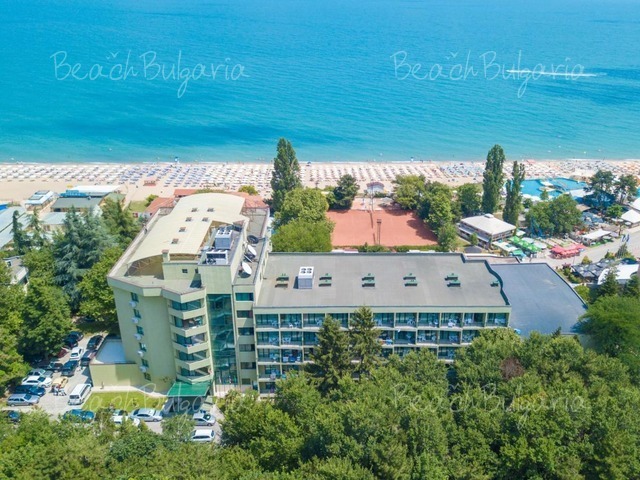 Helena Park hotel is situated 150 m from the beach in Sunny Beach resort, 2.5 km away from the centre of the resort, 28 km from Burgas airport. The complex is situated in a garden with an area of 14,500 sq.m. 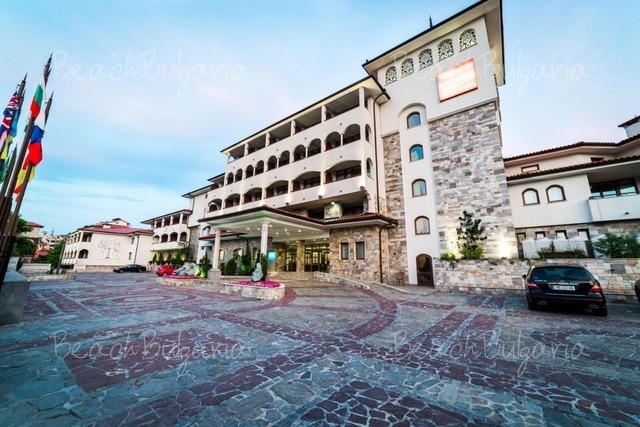 The hotel offers 77 double rooms, 138 double luxurious rooms and 18 one-bedroom apartments. The guestrooms offer central air conditioning/ heating (according to season), telephone, satellite TV, in-room safe (for extra charge), mini-bar, balcony. 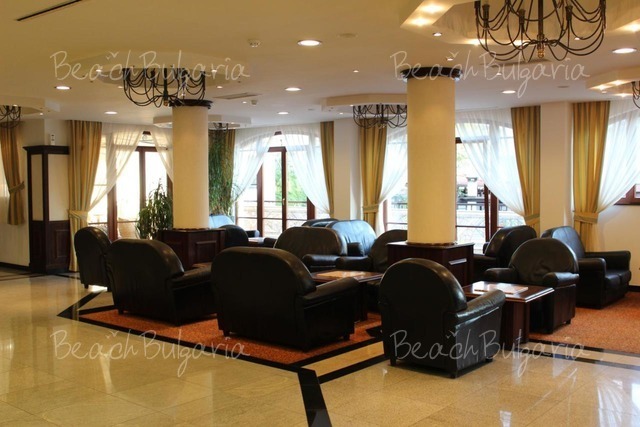 The main restaurant offers international cuisine, rich buffet breakfast and dinner. All Inclusive program. 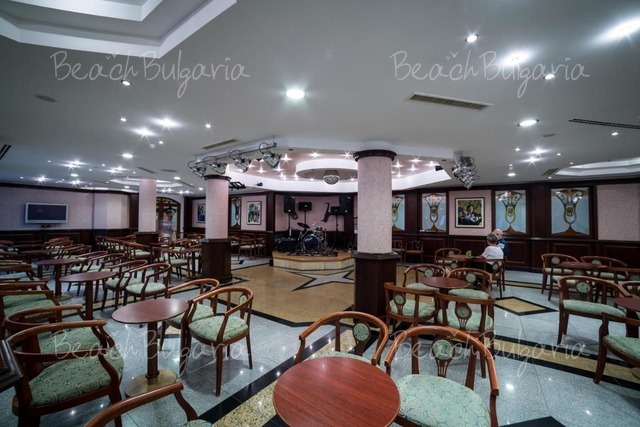 The hotel offers Fish restaurant and Blue Lagoon barbecue restaurant, Lobby Bar, the Sea Wolf Bar and the Mermaid Bar in Helena Park with live music and evening shows. The hotel offers children’s club, animation programs, small swimming pool, climbing facilities. 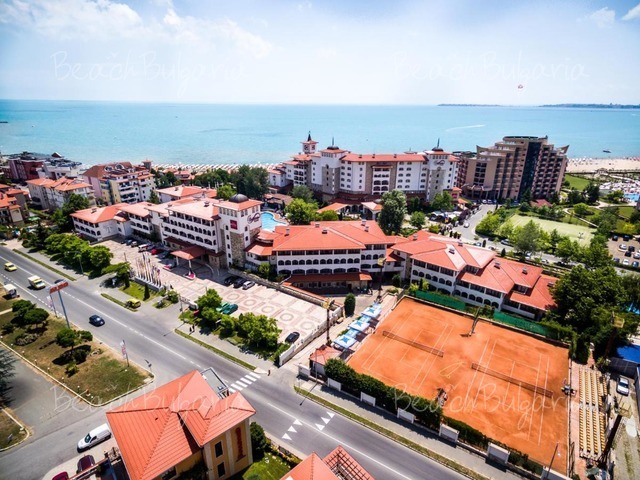 2 tennis courts, beach volleyball, street basketball, water gymnastics, table tennis, billiards, fitness centre, aerobics room, indoor swimming pool. 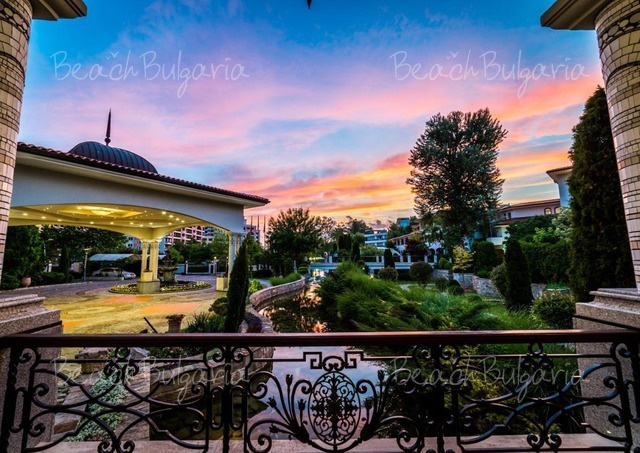 Parking, Wi-Fi internet, Safety Deposit boxes, Parasols and sun-beds on the beach and along the swimming pool, Swimming pools, Kids club and Mini Aqua-park, Baby cot. Hair dressing, Manicure and pedicure, Laundry and ironing, Room service, Concierge, Underground parking, Boutique shops, Internet hall, Children’s strollers for rent, Room safe deposit box, Mini bar, Transfers. The SPA and Wellness centre features swimming pool /90 sq.m/ with Jacuzzi, fresh bar, sauna, Steam bath, Finnish sauna, Stone bath, Fitness centre and Aerobics, Solarium, Relax area. 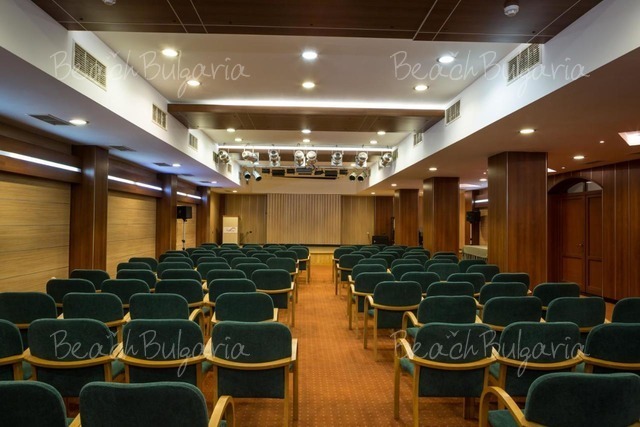 2 conference rooms with maximum capacity of 190 seats and 40 seats with professional equipment and high speed Internet. * The prices are in Euro per room per night, all inclusive, free use of swimming pool, sunbed and parasole near the pool and on the beach and fitness. * Maximum capacity: Double room - 3 adults or 2 adults + 1 child; Apartment - 2 adults + 2 children or 3 adults. Hi! 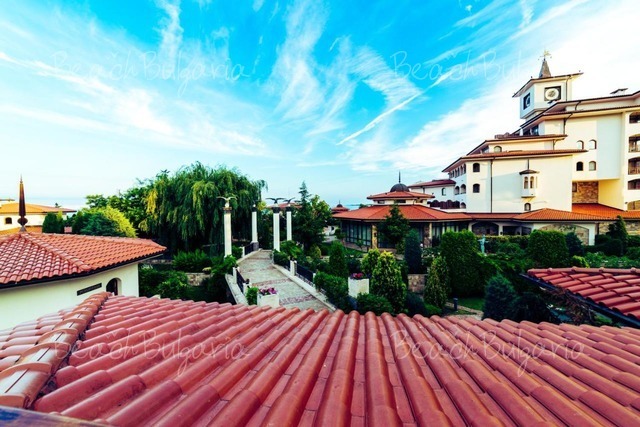 I am from Romania and I know that many Romanian tourist prefer Bulgarian resorts.I have some friends here who make a great music band and are capable to offer a high quality entertaiment for people from all over the world.They sing in Romanian,English and Italian.If you are interested,please,contact me at the mentioned adress. Thank you! Please, post a comment on Helena Park Hotel.